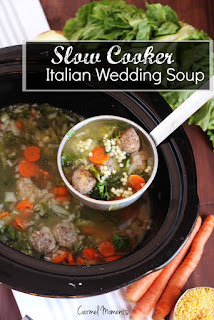 Pin It and Do It is over, but I tried one more recipe that deserves its own post. I enjoy vegetarian meals, but dinner is not complete without meat (or poultry or fish) for my husband. An ideal vegetarian dish is one I can enjoy as a main course and serve to him as a side. 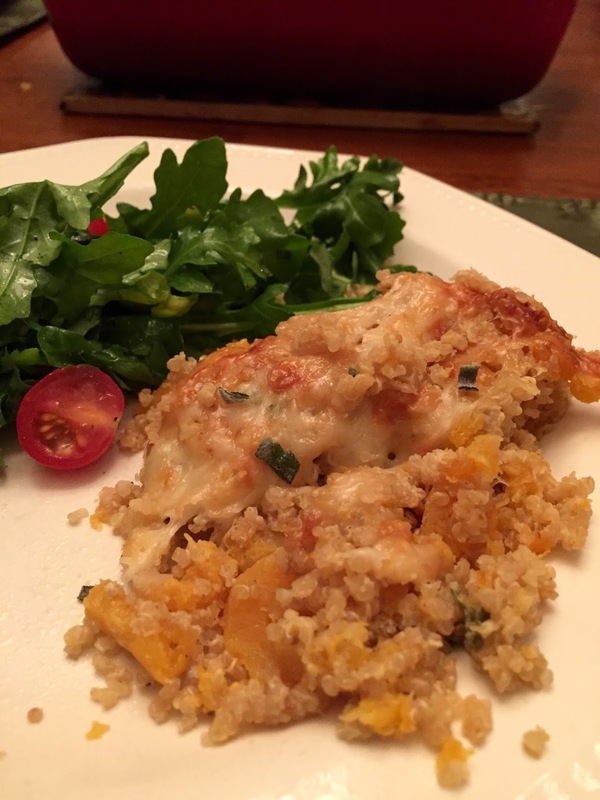 Butternut Squash Quinoa Casserole is that recipe. I followed the recipe exactly as written using chicken broth, organic skim milk, and medium (as opposed to mild) Gruyere cheese. 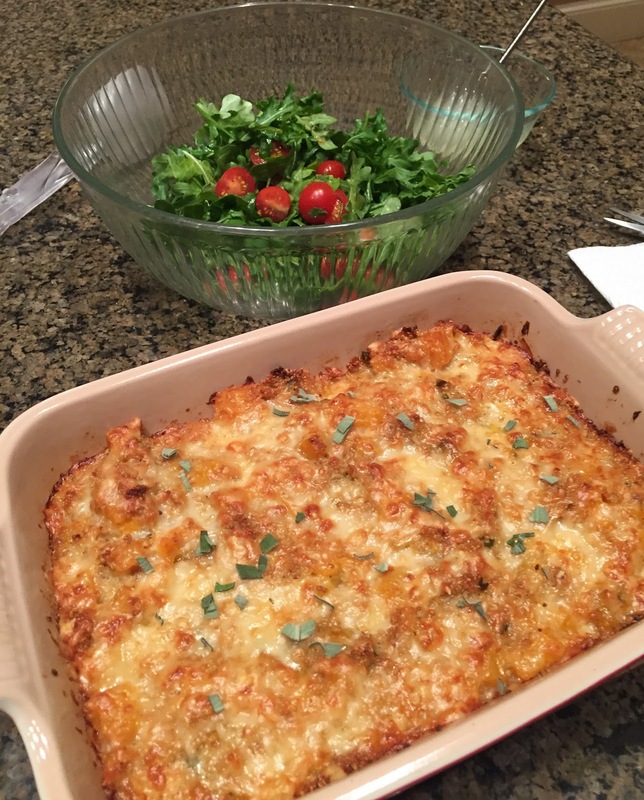 And talk about delicious... this is comfort food to rival the richest macaroni and cheese, but so much more healthful. ... and on my plate. 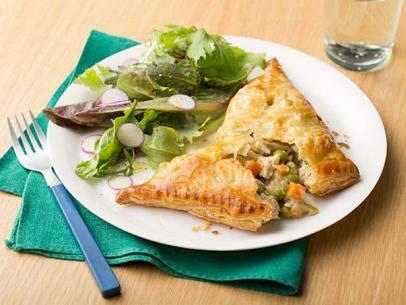 What is your favorite meatless main course? I'd been reading book blogs for a year or two before it hit... that overwhelming urge to join the conversation. 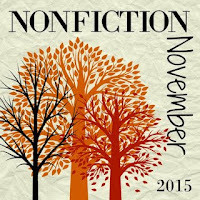 I clicked the publish button at Lakeside Musing for the first time back in October 2008. I had absolutely no idea what I was doing and never really expected to be at it this long. So much has changed since then... the blogosphere is a different place. People have come and gone - some tragically, others have faded away. And along the way, I've made some wonderful friends. My blogging mojo has ebbed and flowed. Lately I've lost my enthusiasm for writing reviews and it seems there is never enough time to comment on all the blogs I'd like....But oh, how I've enjoyed twitter these last few weeks. 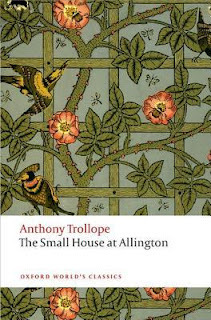 Our #6Barsets group (we're reading Trollope's Barsetshire Chronicles this year) grew for The Small House at Allington. Impromptu chats sprang up on twitter at odd hours of the day and night. While it's a challenge to discuss a book in depth in 140 characters or less, the immediacy of it all was such fun. I'm practically counting the hours until we begin The Last Chronicle of Barset. 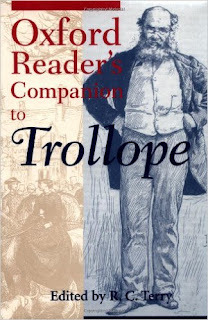 And as we chatted about Trollope, I began to see this blog in a new light. 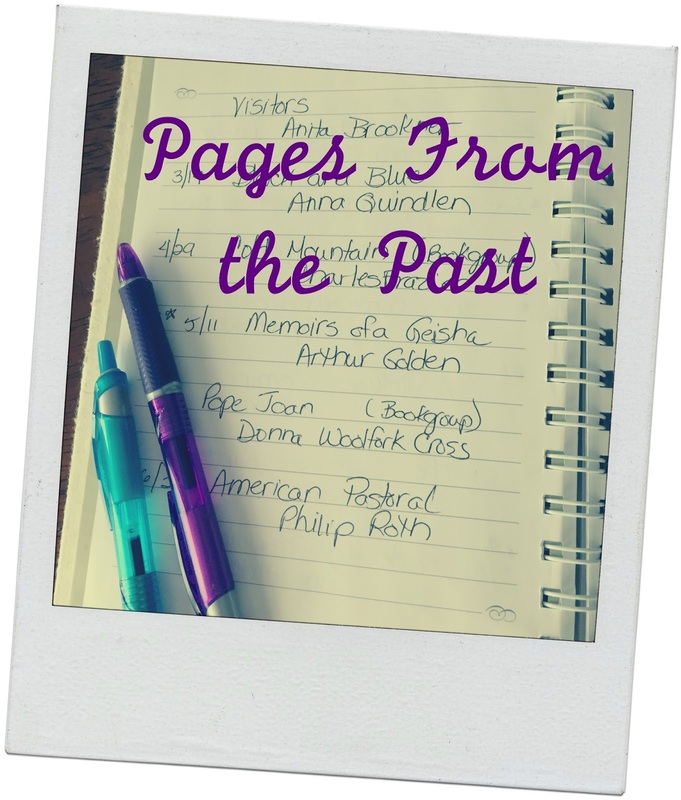 When I stopped accepting review books (with occasional exceptions) and participating in blog tours, all obligation disappeared. Any pressures or deadlines are totally self-imposed. It also struck me that main reason I am still here is because I enjoy the company of bookish friends... I don't need to read a certain number of books per year or write 'x' number of posts per week. I am here to engage with other readers. 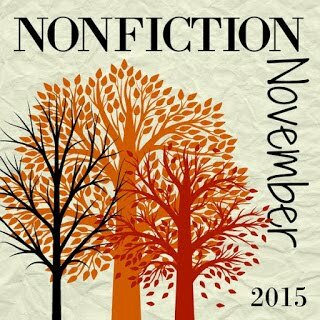 I am here to participate in read-alongs, events (it's almost Nonfiction November), and The Classics Club. I am here to continue the conversation on twitter and share photos on instagram. Lakeside Musing is my home base on our literary playing field. Thank you all for reading, commenting, and engaging. I also read Straight Man in 2002. 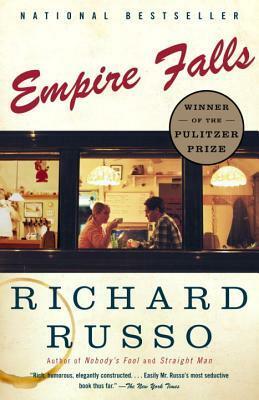 Russo is still a favorite author. I have vivid memories of reading this on a beach in Captiva, FL. About as far from a 'beach read' as you can get, it is an all-time favorite. I keep changing my mind as to whether this or Crossing to Safety is my favorite novel. 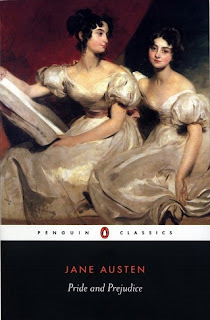 I read a lot of Austen in 2002. 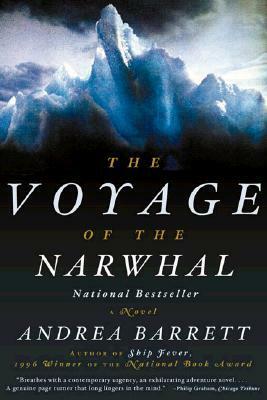 Read with an online book club and a little outside my comfort zone at that time. I loved the writing and have gone on to enjoy other books by this author. Read for an online book group. Not my kind of book... at all. The annual classic selection for my local book club, I may have been the only member to actually finish it. Have not been tempted to read more Lawrence. I don't remember much about this particular novel, but it's notable because it prompted me to take a break from Amy Tan. Too much of the same thing, perhaps? 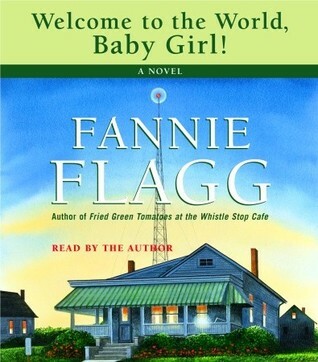 My first audiobook! I have been addicted to audios ever since. That pretty much sums up my year in reading for 2002. Have you read any of these titles? 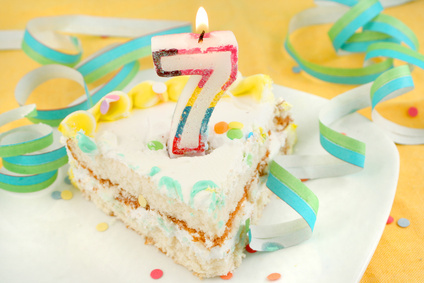 If you are an audio fan, do you remember your first audiobook or when you began listening? My morning swim doesn't usually involve corpses. If it did, I'd give up swimming for something less stressful, like coaxing cobras out of baskets or my mother out of bed before ten. Watching the sun rise over the seventh green is often the best part of my day. I dive into the pool while the water is still inky. When the light has changed from deepest indigo to lavender, I break my stroke, tread water and admire the day as it bleeds from gold to yellow to pink. It's a ritual, a metaphorical cleansing, a moment of stolen peace. It's been a long time since I last read a cozy mystery and, to tell you the truth, I'd forgotten how much fun they can be! Last Tuesday, within five minutes of each other, I read reviews of Guaranteed to Bleed, Country Club Murders #2 from Katherine and Greg and knew I had to give this series a try. If the 1970s setting wasn't enough to convince me, the Country Club aspect was. Stories about "rich people behaving badly", a genre coined by Sarah, are a particular weakness of mine. The Deep End brings back the seventies with Dr. Scholls, caftans, references to Watergate, popular music, and television series. The period details were just enough to provide context and interest, but not at all overdone. 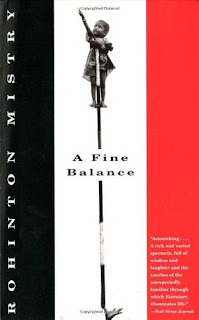 The main character, Ellison Russell, is sympathetic and likable. I also developed a soft spot for "heroes" Detective Anarchy Jones and lawyer/friend/possible love interest Hunter Tafft. As usual, I wasn't able to figure out who the murderer actually was and should probably give up even trying. 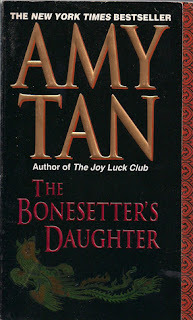 The story reads like women's fiction, the murders are gentle, and I enjoyed every moment of this book - pure escapism! Did I mention how much I love the cover? The ebook is only $2.99 right now, so it was on my kindle within minutes of reading the reviews. And talk about perfect timing... I took my mother to a doctor's appointment which involved several hours of testing later that day. 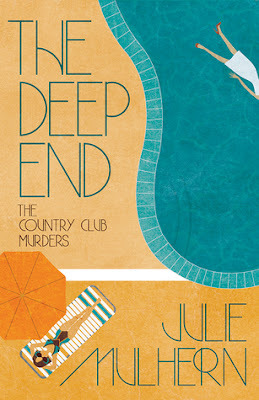 The Deep End was ideal reading material. It held my attention without requiring a great deal of concentration and was so entertaining. I can't wait to read the second book in this series. Good morning, friends. Another week has flown by and it seems like the weekend goes even faster. Things have been relatively uneventful here... and that's fine with me. We haven't had any more snow and that's good news, too. Have you heard of The Country Club Murders? I don't read many mysteries, but something about the cover and 1970s country club setting appealed to me. Katherine and Greg both enjoyed the second in the series, so when I found Book 1 for just $2.99, "buy now with 1-click" happened. This also counts toward RIP X , so I haven't been a complete failure in that department after all. Look for my review later this week. Our next book club selection. I decided to add in the audio version after Debbie mentioned how good it was. So glad I took her advice! Both the story and the narration suit my current mood and the weather perfectly. I'll finish later today or tomorrow. 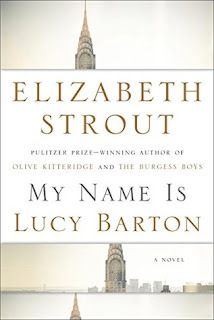 Strout's new novel will be released in January. I've sworn off Netgalley, but she is a favorite, so I just had to request this one. I'm tempted to read it now and sit on my review until next year. You didn't expect an update post completely devoid of Trollope, did you? I know I'm slightly obsessed right now, but Lisa is to blame/thank for this purchase. I'm looking forward to Halloween next weekend. We only get a handful of trick-or-treaters (it takes some effort to get little ones out here), but I love seeing the kids all dressed up. 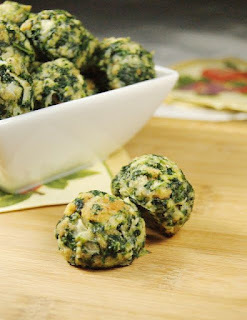 It reminds me of the days we gathered for take-out pizza with friends and took all the kids out trick-or-treating. Great memories! Twin A is coming home on Thursday for a long weekend. I can't wait! She will enjoy all the Halloween festivities and I think she's already looking forward to the extra hour of sleep Saturday night when Daylight Savings Time ends. How was your week? Did you read anything good? 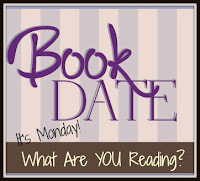 This post will link to It's Monday, What Are You Reading? now hosted by Kathryn at Book Date. 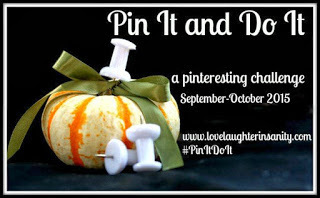 The fall edition of Trish's Pin It and Do challenge is winding down and I, for one, am glad she decided to reprise this popular event. Once again, I chose to go the foodie route. 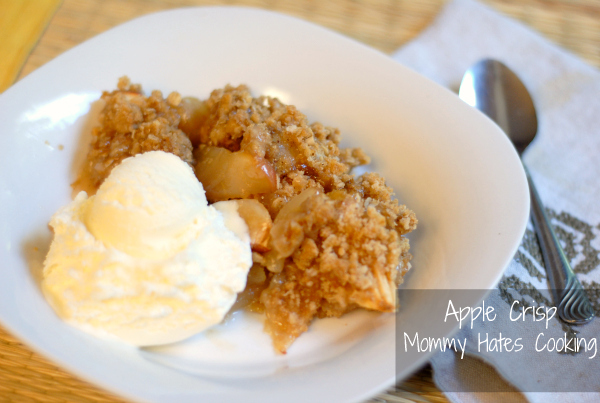 My recipes this month included an appetizer, soup, a few main dishes and a dessert. There is one more vegetarian main dish I plan to try, a butternut squash and quinoa casserole. The ingredients are on hand and if it's successful, I will include the recipe in a future Weekend Cooking post. Links to other October Pin It and Do It wrap-up posts can be found on Trish's blog. What a pleasant surprise... Based on the above summary, I was expecting a depressing book, but Did You Ever Have a Family turned out to be an emotionally absorbing, accomplished debut novel. Short chapters told in multiple voices, each connected with those who died in the tragedy, allow for a gradual reveal of characters, backstories, and relationships. With each chapter, the novel grows in interest and complexity. The initial voice belongs to a 15-year-old pot-smoking high school kid who works part time at a landscape business owned by the mother of the bride's boyfriend. Not exactly the type of character I'm particularly interested in or drawn to, yet he somehow pulled me right into the story and I just kept on reading. And all of the other characters... alone, misunderstood, and yet somehow connected. Often impacting the lives of others in ways they can't even imagine. Sad, but redemptive, too. 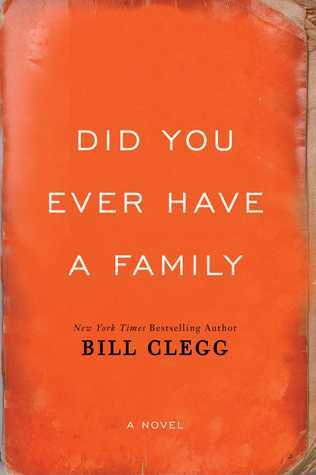 Did You Ever Have a Family is a quick read. I devoured it in two sittings and loved every page. 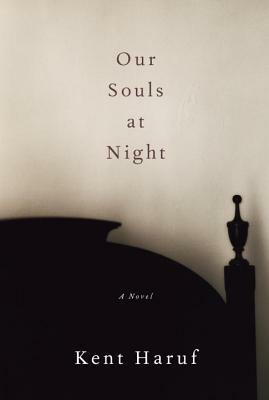 It was longlisted for both the Man Booker Prize and National Book Award. Early November. It's nine o'clock.The titmice are banging against the window. Sometimes they fly dizzily off after the impact, other times they fall and lie struggling in the new snow until they can take off again. I don't know what they want that I have. I look out the window at the forest. There is a reddish light over the trees by the lake. It is starting to blow. I can see the shape of the wind on the water. Our next book club selection is a book that has been on my wish list for years. 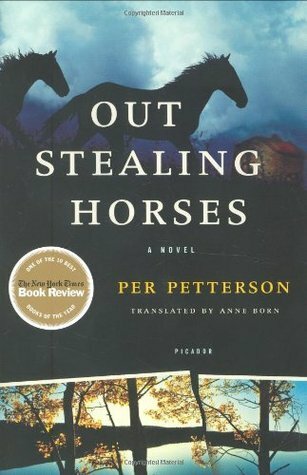 I read the first few pages of Out Stealing Horses last night - my initial thought is that this book will be very visual and very quiet. And maybe a slow build, too. Exactly what I'm in the mood for at the moment. Trond's friend Jon often appeared at his doorstep with an adventure in mind for the two of them. But this morning was different. What began as a joy ride on "borrowed" horses ends with Jon falling into a strange trance of grief. Trond soon learns what befell Jon earlier that day--an incident that marks the beginning of a series of vital losses for both boys. What do you think? Are you tempted to keep reading? And so it begins... This morning we woke to a dusting of snow on the ground, covered rooftops, and temps well below freezing. That box on the left used to be my herb garden. It's October 18, my twin sisters' birthday and my mental "fair game" marker for snow. I used to look forward to winter, but now I just tolerate it until January and count the days until we head south! As for blogging, it's been a quiet week. 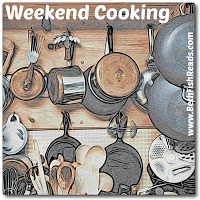 No book brief or Tuesday Intro, and I never got to the planned Weekend cooking post either. But I have had the most wonderful week in Allington! Of course I mean The Small House at Allington by Anthony Trollope. Several of us have been reading it together and chatting with everyone on twitter is great fun. As Audrey would say, I have been Trolloping with friends. Yesterday morning, I dropped in on the readathon just long enough to finish up The Small House at Allington. 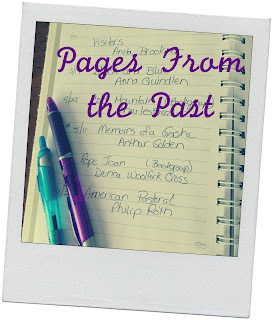 In seven years of blogging, readathon and my schedule have never meshed, and now I realize how much I've been missing! My participation was limited to posting a photo on instagram, tweeting once or twice, and taking a few breaks to keep up with those feeds. But that was only scratching the surface... there were cheerleaders, mini challenges, blog posts, and you would not believe the food. What an amazing event! As soon as the next one is announced (it's sometime in April), I'm blocking off the date on my calendar. The impulsive approach would have me marching right on to The Last Chronicle of Barset. Do you think I've become a little obsessed with Trollope? It's so much fun reading with friends, so I will wait for our planned November/December time table. However, I satisfied the impulse by downloading a copy to my kindle and purchasing the companion audiobook. 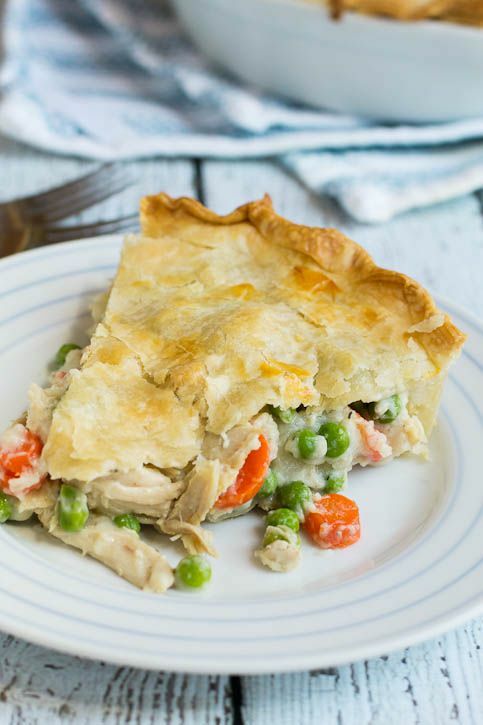 This is a chunkster... the page counts vary widely, but the audio version is over 30 hours. There will be plenty more time to spend in Barsetshire! 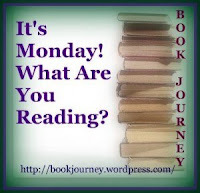 It's Monday What Are You Reading? is now hosted by Kathryn at Book Date. Happy Monday, friends. 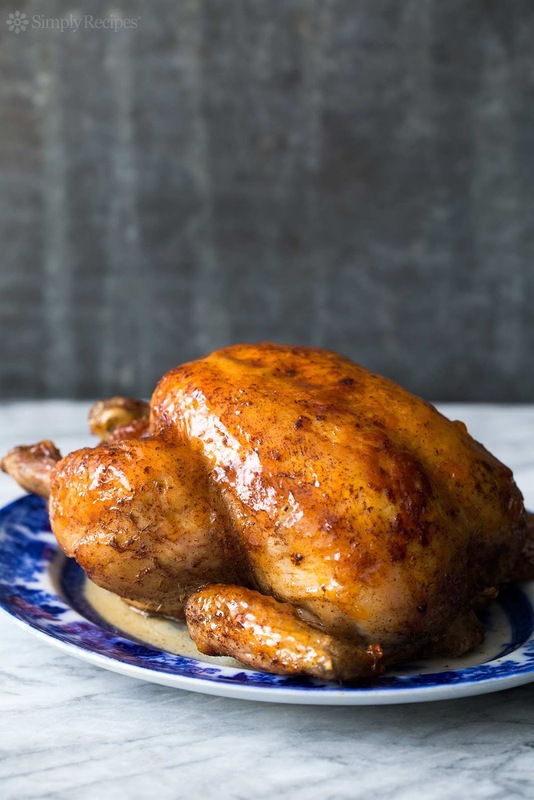 Are you enjoying a long holiday weekend? After a quick trip to New York City on an apartment hunting adventure (for our daughters), we are back home. Unfortunately, the deal fell through and it appears Daughter #1 will stay put for another 6 months until Twin A officially joins her. We still had a great time in the city... a walk in Central Park, an art galley, delicious dinners, and the best doughnuts ever. 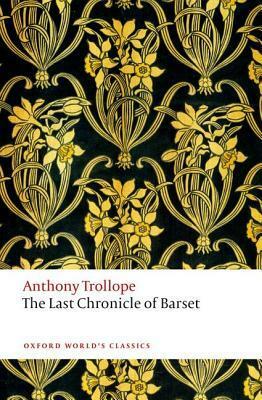 It has been all Trollope, all the time this week. After listening on my morning walks, I really wanted to continue reading The Small House at Allington on my kindle... and so I did. I did not realize the book was so long (I'm on page 473 of 776) and may need another week to finish. 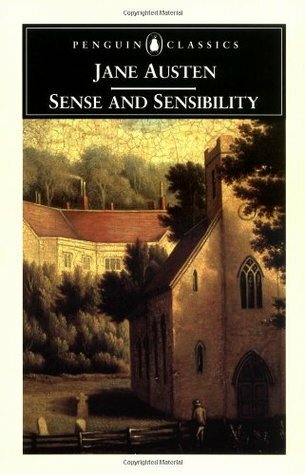 Trollope continues to enchant me. In the meantime, I have decided to wait on Fates and Furies. It seems like it will be an intense reading experience and I don't want to lessen its impact by dividing my attention. The book is due in a few days, so I will return it to the library and put my name back on the hold list. I'm still hoping to squeeze Neverwhere by Neil Gaiman in before the end of the month though. That's it for me. My husband is at work today, so I plant spend much of the day reading. What books have caught your attention this week? It's Monday, What Are You Reading? is hosted by Sheila at Book Journey. While she is taking a break, check out the twitter hashtag #IMWAYR. "Who does ever get what they want? It doesn't seem to happen to many of us if any at all. 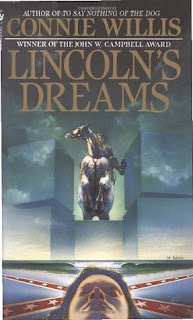 It's always two people bumping against each other blindly, acting out old ideas and dreams and mistaken understandings." Beautiful, simple, stark ... and nearly perfect! It's been many years since I last read Kent Haruf, but a soft spot for his writing style and storytelling has remained. I purchased this book in Denver last summer to read on our flight home. That somehow seemed like the perfect time and place. And it was. 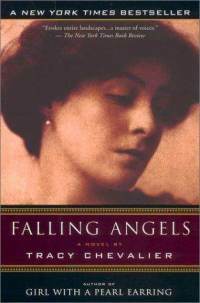 I was leaning toward 4.5 stars, but settled on 5 in light of the author's recent passing.